Classes taught by pastors and high-quality leaders will educate students on church operations, leading teams, public speaking, event-planning, and more. Radiant Intensive students will develop habits and skills necessary to rise within the sphere of influence God is calling them to. Radiant Intensive students will strengthen their personal devotion to God through passionate prayer. They will participate in a prayer and worship meeting and be given the opportunity to lead alongside our Radiant Church Lead Team. Theology, Bible, and Church History teachings create a productive learning experience for students. Important life skills topics—Career planning, Counseling—are also presented in an academic format to aid in knowing God, finding freedom, discovering your purpose, and making a difference. One night per week , students will come together for a time of fellowship, worship, and small group break outs. During this time, students will be given the opportunity to practically apply what they learn by leading small groups, building teams and helping others connect to their purpose. Mission Trip- Every year students have the opportunity to go on an International Mission trip- this trip is optional, but highly encouraged. The trip typically cost $1,500-$2,000. David and Renata Perkins dreamed of planting a church with these goals—to help people know Jesus, walk closely with Jesus everyday, discover their calling, and shine the light of Jesus to the world. With a growing burden that they just could not shake, they loaded up their four young children and drove to multiple cities in the Midwest asking God to lead them to the right city. While they prayed in Kansas City, they sensed God’s call and they began to make plans to start a life-giving church in Kansas City. After sixteen wonderful years of pastoring young people in Colorado Springs, the Perkins moved to Kansas City to pioneer a brand new church. To their wonderful surprise, a world class team of talented young adults and trustworthy families moved to Kansas City with them. The Perkins began weekly prayer meetings in their home and officially began Radiant Church on September 18, 2016. Hundreds gathered that day at Overland Trail Middle School in Overland Park, Kansas and Radiant Church became a reality. David graduated from Southern Nazarene University in Oklahoma City with a bachelor's degree in religion. While pastoring in Colorado Springs, he obtained a master's degree in theology from The King's University. Renata graduated from the University of Colorado with a degree in English. Together, they have four wonderful children and love raising their family in Kansas City. Program Director Joshua Hubbard has been a serious follower of Jesus since middle school. In the midst of his studies at Auburn University, Joshua began to feel the pull of the Holy Spirit and left school in order to pursue a ministry degree at Highlands College in Birmingham, AL. There he was mentored by the leaders of one of America’s largest and most successful churches on the best practices of church leadership. The calling on Joshua’s life was confirmed by helping to launch seven satellite campuses for Highlands, becoming one of the first students to preach a chapel service, and eventually helping to lead the Pastoral Leadership practicum. Subsequently, Joshua was recruited by several successful churches, but followed the call of God to help plant Radiant Church where he led the church’s serve team, the Dream Team. 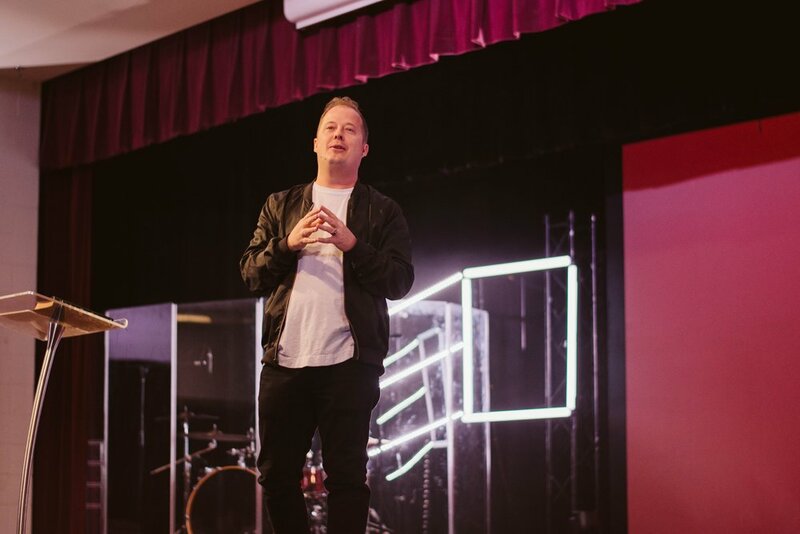 Joshua’s passion for Jesus, his leadership excellence, and his heart for young people are the core of what makes Radiant Intensive a life-changing experience. Will Riddle is Academic Dean for Radiant Intensive and leads the Prayer & Encounter night. He is author of eight books on practical topics, including Free at Last: How to Make the Gospel Work, and No Exit: Finding Jesus in the Maze of Religion. Will has been part of three church plants, including one to Boston where he worked with campus ministries in the Cambridge area, and one to Cincinnati, OH where he worked in urban ministry and with key political leaders on issues of Christian liberty. Most recently, he moved with his family to Kansas City to help launch Radiant Church where he serves as leader of the Prayer Team and helps people move in their spiritual gifts. In addition to his role at Radiant Church, Will is Executive Director of Operations for Prison Fellowship, founded by Chuck Colson. He holds a degree in Computer Science from Duke University and a Masters in Divinity from Gordon-Conwell Theological Seminary. Jaime Riddle is the Lead Academic Instructor for Radiant Intensive. Saved from atheism during her first year at Duke University, Jaime’s passion is to see students equipped to take on the intellectual systems of the world. She led the Imago Dei worldview ministry at Duke, co-led campus ministry events with students from MIT, Boston University, and Wellesley, taught in the Every Nation Leadership Institute, Faith Bible College, and several enrichment programs including Brighton Academy and the Providence Extension Program. She holds a bachelor’s degree in Psychology and a Master’s degree from Regent University in Education. She is the author of a social studies textbook on Mexican-American heritage and is the homeschool mom of four outstanding children.